Hey Style Lovers, happy Friday! Today is an awesome day for me, It’s my baby’s 4th birthday! I feel so blessed to have her in my life, and for that I’m genuinely grateful. In addition to celebrating my baby’s birthday today, I’m also celebrating a milestone in my life. Today marks the conclusion of my 18 year career in luxury retail. I started my career while I was in university and fell deeply in love with high-end fashion. My love for fashion and people kick-started Awed by Monica, and now I am becoming a full time blogger. A million thanks to you my followers because without you I’m nothing. Awed by Monica has experienced tremendous success over the last few years, and by the grace of God, and with your support, will continue to see more success. Tune innext week to find out what I will be up to and the new direction of the blog. Once again thank you! 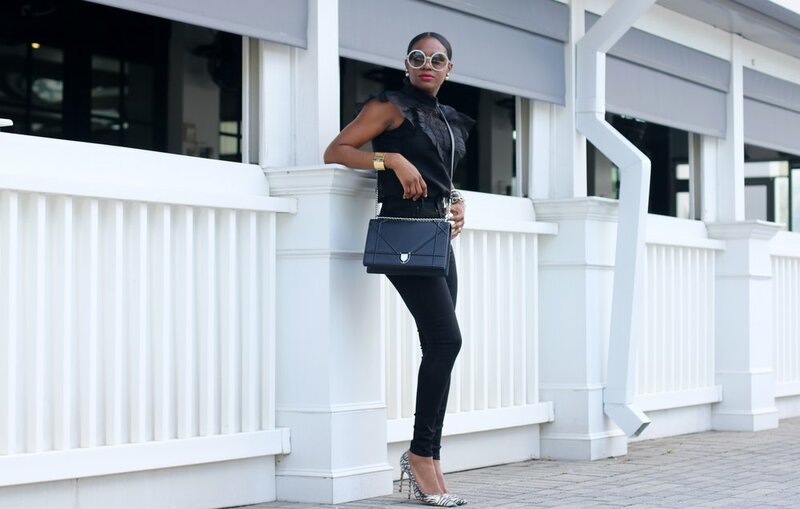 Now onto today’s outfit post, how fabulous is this black on black look of the day! 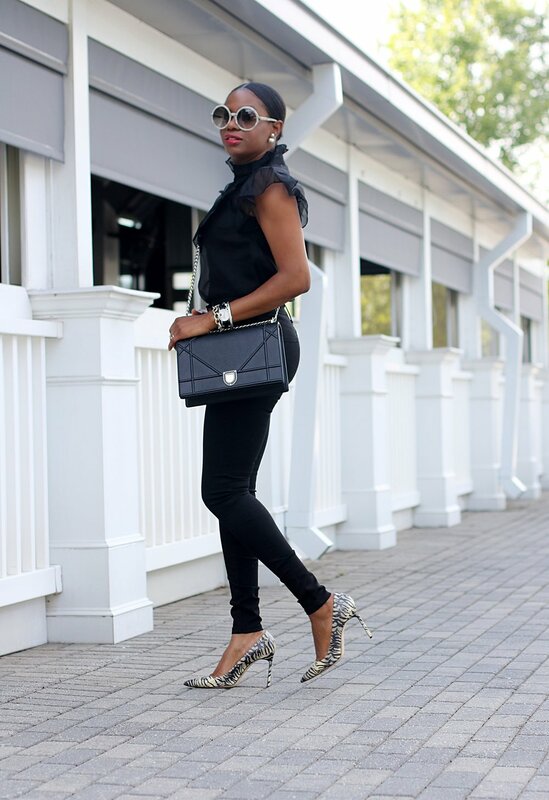 Nothing beats a great pair of jeans, hence my Mott & Bow jeans are totally giving me life! 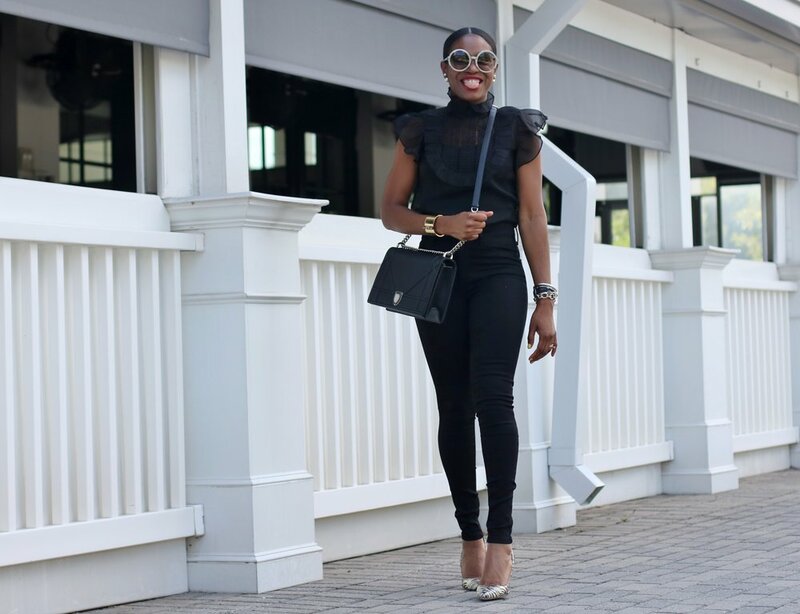 I paired my fab jeans with an elegant organza blouse, and chic accessories, to create the ultimate casual-chic date night outfit. I hope you guys get inspired by my journey, andtake a chance to do what you love. Don’t forget to support me by using the links to shop the post! Have an amazing weekend my loves and see you next week.